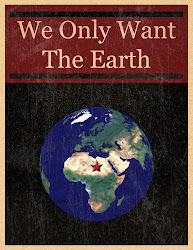 We Only Want The Earth: The Responsibility To Protect In Libya: The New Imperialism? In order to better understand the background to this debate, this essay will provide an overview of the history of the idea of humanitarian intervention leading up to the adoption of the R2P principle at the 2005 UN World Summit. The essay will then move on to set the scene for the events leading up to the NATO military intervention in Libya. After this, an analysis of the arguments based on four categories supporting and opposing the NATO intervention in Libya based the R2P principle will be carried out. Within this analysis of the arguments for and against military intervention based on R2P, a discussion of the merits / demerits of the RP2 concept will be conducted. Finally, the essay will provide a summary of the main points from either side of the debate before concluding that while it is true that the spirit on which the R2P principle is based is morally right, until a further developed principle with strict criteria that govern actions before, during and after interventions, R2P will just be another form of humanitarian imperialism. Military intervention based on humanitarian ideals has long been a feature of international relations. Colonial adventures of former great powers were often portrayed as in the interests of the colonised, due in the main to the ‘civilising’ of the natives. Famously, Hitler even suggested that the 1939 invasion of Czechoslovakia was to protect the “life and liberty” of Czechoslovak citizens from their government (Bellamy 2010, p.366). Even after the UN Charter entered into force in 1945, with provisions banning the threat or use of force and territorial integrity of states(United Nations 1945) a steady stream of interventions numbering eleven up until 1989 have had humanitarian reasons cited as explanations (International Commission on Intervention and State Sovereignty 2001, CD Rom). Since the end of the cold war, instances of humanitarian interventions have increased comparatively; with twelve interventions including the recent Libya case (Bellamy, 2010, Table 22.1, pp. 360-361). Thomas Weiss explained this as “the notion that human beings matter more than sovereignty radiated brightly, albeit briefly, across the international political horizon of the 1990s” (Cited in (Bellamy 2010, p.364). This renewal of interest in the concept of humanitarian intervention can be explained in a number of ways. Primarily, as Bellamy and Wheeler suggest (2008), due to the high importance placed on sovereignty during The Cold War, armed humanitarian intervention was not seen as a legitimate reason. However, during the 1990s, a number of events led liberal democratic states to push forward with the idea that a state’s sovereignty involved more than territorial integrity, and entailed a responsibility to protect the human rights of citizens. The spur for the concept of R2P came in the mid-1990s from the writings of Francis Deng in his book ‘Sovereignty as Responsibility’. Deng and the co-authors suggested that “responsibility, rather than control, should be seen as the essence of sovereignty”. They went on to suggest that the international community had a responsibility to ensure that states live up to this standard (Orford 2011, pp.13-14). Further events such as the Rwandan genocide in 1994, the slaughter of over seven thousand men and boys by Serb forces in Srebrenica in 1995 and the non-UN sanctioned NATO bombing of the Federal Republic of Yugoslavia to force its leader, Slobodan Milosevic to cease violence against Kosovar Albanians in 1999, all prompted the then UN Secretary-General Kofi Annan to enter the debate (Bellamy 2010, p.369). Annan used his annual address to the General Assembly in 1999 to suggest that the concept of sovereignty was being redefined, and it would not be a barrier to action to protect human rights (Bellamy 2010, p.369). All of this led to the Canadian government to set up the International Commission on Intervention and State Sovereignty. The commission’s report in 2001 signalled a new way of thinking about sovereignty and human rights (International Commission on Intervention and State Sovereignty 2001). The concept that grew from the report was that sovereignty entailed a responsibility to protect, and if states failed in that responsibility, “the principle of non-interference yields to the responsibility to protect” (Bellamy 2008a, p.620). The report also laid down a number of criteria that the international community should adhere to when contemplating intervention; but also, the international community had the responsibility to prevent suffering where crises were occurring, and to rebuild societies after they occurred (Bellamy 2008a, p.621). The commission’s report was met with both support and scepticism from varying quarters. The 2005 UN World Summit adopted the principle of R2P, albeit a different watered down version from the recommendations and criteria set out in the ICISS report in 2001. The principles, unanimously accepted by the General Assembly set out three main points. 1; The responsibility of states to protect its population from genocide, war crimes, ethnic cleansing and crimes against humanity. 2; The support of the international community in helping states meet these obligations, and 3; the responsibility of the UN member states to respond when a state is ‘manifestly failing’ to provide the required protection (Bellamy 2008b, pp. 66-97). These principles of R2P were the guiding principles that led to the recent UN sanctioned NATO intervention in Libya. The start of 2011 saw popular movements in both Tunisia and Egypt mobilise to call for change and an end to decades of dictatorships in both states. The ousting of both Ben Ali and Mubarak led the ‘Arab spring’ to spread across the North Africa / Middle East region. Libya had also been experiencing mass protests in the Benghazi region, sparked by the arrest of a Libyan human rights activist, and the subsequent government crackdown on protesters (France 24, 16-02-2011). As the protests spread and reports of human rights abuses emerged, the UN Security Council issued resolution 1970 on February 26th, which Imposed targeted sanctions on key regime figures including an asset freeze and travel ban, imposed an arms embargo and other arms restrictions, referred the situation to the International Criminal Court (ICC), provided for humanitarian assistance and committed to review the measures to strengthen, modify or lift them as the situation progressed (United Nations Security Council 2011a). 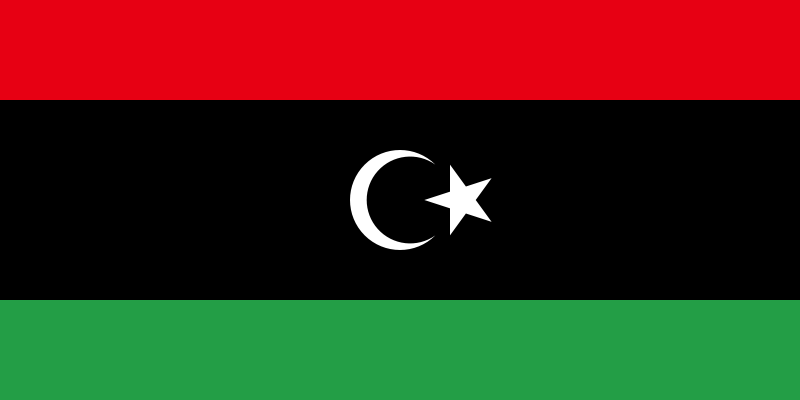 When the situation in Libya did not improve, on March 17th the UN Security Council issued resolution 1973. This authorized member states to impose a no-fly zone over Libya and to “take all necessary measures” to protect civilians and civilian populated areas in the Libya, excluding an occupation (United Nations Security Council 2011b). The ban excluded humanitarian missions and missions to protect civilians or benefit the Libyan people. The resolution paved the way for UN sanctioned NATO intervention based on the R2P principle. The intervention had both support and opposition. The arguments for intervention based on the R2P principle can be grouped into four categories. These are; moral, legal, ideological and legitimacy. While the lines between each of these categories can become very blurred, they are useful nonetheless. To begin with, there are many moral arguments of why it was right to intervene in Libya. In keeping with the view that sovereignty entails responsibilities, it has been argued that when states fail in their duties, they lose out on a moral right of non-interference (Caney, 1997 and Teson, 1998 cited in Bellamy 2010, p.363). As the protests in Benghazi developed, Libyan leader Colonel Muammar Gaddafi spoke on national television to declare that “any Libyan who takes arms against Libya will be executed” (ABC, 23-02-2011). On the same day the UN Secretary General insisted that Libya comply with its 2005 commitment to R2P, and the international community comply with its own commitment (Bellamy, A.J., Williams, P.D. 2011, p.839). It was against this background that the UN Security Council issued resolution 1970 mentioned above. The resolution invoked Libya’s responsibility to protect its citizens. On March 16th, Gaddafi once more issued threats to protesters which Kinsman describes as “chillingly similar to radio broadcasts before the massacre in Rwanda, saying “we will march to cleanse Libya, inch by inch, house by house, home by home, alley by alley, person by person, until the country is cleansed of dirt and scum” (Kinsman 2011, p.84). The following day the UN Security Council issued resolution 1973 which authorized member states to ‘take all necessary measures, to protect civilians. Based on Gaddafi’s pronouncements, it is hard for anyone to argue against a moral justification for intervention when a massacre was being hinted at. Libya had signed up to the R2P principle, and in failing to live up to its standards to prevent crimes against humanity, then morally, intervention was on the agenda. There are a number of legal arguments that support the intervention. Firstly, in accordance with Article 33 of the UN Charter, Pacific settlement of disputes (United Nations, 1945), the Secretary General personally contacted Gaddafi to persuade him to comply with resolution 1970, and failed (Bellamy, A.J., Williams, P.D. 2011, p.840). Secondly, there has been a suggestion that since the end of The Cold War, there is now a customary right of humanitarian intervention (Lepard, 2002 and Finnemore, 2003 cited in Bellamy 2010, P.364). This concept was used by the then UK Foreign Secretary Douglas Hurd in 1991 with regard to the UK’s intervention in Northern Iraq (Bellamy 2010, p.365). Finally, as Chesterman (2011, p.2) suggests, Security Council resolution 1973 was consistent with previous resolutions authorizing ‘all necessary means’. The attempt to have R2P accepted as a new international norm since 2005 can be seen as building upon this concept. A further line of arguments supporting the intervention are those based on ideology. Through the whole process of the ICISS and the adoption of R2P at the World Summit in 2005, the idea of liberal internationalism has been evident. The idea suggests that the promotion of liberal human rights and democracy through humanitarian interventions is justified. In what has been termed ‘imposing the liberal peace’, it is advocated that international peace and human rights are best served by democratic and peaceful states ensuring humanity’s common interests. It is argued that the ‘liberal peace thesis now reflects the balance of power in the international sphere, and thus provides a justification for liberal interventionist norms (Chandler 2004, pp. 60-61). A final set of arguments supporting intervention cite legitimacy in their reasoning. To begin with, the recent intervention in Libya was unprecedented insofar as authorization of use of force by the Security Council to prevent an expected massacre was what Kinsman called “the inaugural application of the responsibility to protect” (2011, p.82). The legitimacy of the intervention was also justified on the basis that the Gulf Cooperation Council (GCC) and the League of Arab States (LAS) both called on the UN to enforce a no-fly zone based on the R2P principle (Bellamy, A.J., Williams, P.D. 2011, p. 841). The fact that the UN Security Council authorized, and regional organisations called for the intervention based on R2P does provide arguments based legitimacy some credence. While the arguments for military intervention based on the R2P principle can be somewhat convincing, a critical approach to the four categories of arguments provides an alternative way of viewing the debate. Firstly, the suggestion that morals play a role in interventions based on R2P may be misguided. The argument that the world now has a common morality is to look through rose-tinted liberal spectacles. While it is un-doubtable that morals were the key to the process of adaption of R2P, the intervention into Libya was anything but moral. As the realist perspective points out, states do not engage in genuine humanitarian interventions, as they would be against national interests (Bellamy, A.J., and Wheeler, N.J. 2008, p.527). The words of President Obama, in showing his support of US intervention in Libya are quite telling. He said “America cannot use our military wherever repression occurs. And given the costs and risks of intervention, we must always measure our interests against the need for action” (Chesterman 2011, p.8). This, it can be argued is why the United States rejected the idea of criteria for intervention in the ICISS report, because it could not commit to intervention where it had no national interest (Bellamy 2010, p.371). So, what selectivity of intervention shows, is that for every intervention like Libya, there will be many non-interventions like Darfur and Rwanda. This shows that while morals are bound up in the idea of R2P, they do not play a role in actual interventions. Interventions occur because of national interests, and R2P gives them moral legitimacy. The legal grounds for the Libya intervention can also be challenged. As Chesterman has rightly pointed out, R2P was never strictly legal, but more political and much more rhetorical. Also, it never changed the prohibition of force without Security Council approval (2011, pp.4-6). While resolution 1973 had Security Council approval, what is telling that the Libya case was far from the portrayed global consensus on the intervention. Five members of the Security Council, including two permanent members, abstained from voting for resolution 1973, and all of the BRIC (Brazil, Russia, India, China) countries abstained (Dunne, Gifkins 2011, p.523). Once the operation had begun, concern at the way NATO had interpreted the mandate was echoed by Russia, China and South Africa (Bellamy, A.J., Williams, P.D. 2011, p.845). Concern on legal grounds must also be expressed over the fact that the conflict in Libya prior to intervention bore all the hallmarks of a civil war. As the protests in Libya turned violent, defections from the government and the army facilitated the formation of a rebel army and the Interim Transitional National Council (Bellamy, A.J., and Wheeler, N.J. 2008, p.838). The principle of non-interference in internal conflicts could easily be used in arguments opposed to intervention. This coupled with the fact that French and UK special forces were “very discreetly on the ground” to train rebel forces (Kinsman 2011, p.86), shows that the legality of the mission was neither black nor white, but firmly in the grey area. As well as this, NATO’s non-apology for killing one of Gaddafi’s children, and three of his grandchildren, as well as a statement in May by the UK’s Chief of Defence, General David Richards that if NATO didn’t up its game, Gaddafi may stay in power, all goes some way to showing that regime change, and not saving civilians, was the prime focus of their military adventure (Rieff 2011, pp.14-15). It could be asked, where was NATO’s responsibility to protect during its intervention? As John Stuart Mill suggested, democracy and human rights must be won from below and not imposed from above (cited in Bellamy, A.J., and Wheeler, N.J. 2008, p.528). The nature of R2P is that it seeks to impose Western liberal values onto states that do not believe in them. While the basis of R2P can apply to any legitimate society, the discourse of democracy, human rights and Western values that accompany it do not apply to many states. This is an intensely ideological crusade and must be recognised as such. It could be argued, as David Rieff does, that the human rights movement is an unwitting force for the re-colonising of the world (Institute of International Studies, UC Berkeley 2003). With the ideas expressed about regime change in the preceding paragraph, it is not difficult to suspect that R2P may be just another tool in the imperialist toolbox. There are many arguments that an intervention based on R2P lacks legitimacy. When an analysis is carried out of the previous foreign policies of those who readily intervened in Libya, it can be argued that rather than legitimate moral, legal and ideological concerns, it is selfish national interests that drive state actions. Chomsky elaborates on this point when he suggests that R2P is no more than “humanitarian imperialism” (Chomsky 2008), under which Western imperial forces try to cloak their past crimes in a cloth of respectability. Can it be legitimate for Italy, France and the UK to intervene into Libya over Gaddafi using weapons against his people, when Italy, France and the UK were the three biggest European arms suppliers to Libya (The Guardian, 1-03-2011)? Perhaps the best illustration that the R2P intervention into Libya bypassed legitimacy comes from Gareth Evans, former Australian Foreign Minister and one of the architects of R2P. For Evens, an initial cheerleader of resolution 1973, NATO’s stretching to the limit of the original UN mandate left future cases of UN Security Council sanctioned R2P interventions in doubt. As he wrote recently, “there is a real concern that events in Libya, far from setting a benchmark for future commitment, will prove to be the high water mark from which the tide will now recede” (cited in Rieff 2011, p.15). So, how do the moral, legal, ideological and legitimacy categories inform our understanding of the arguments for and against military intervention based on the R2P principle? The moral justifications for intervention into Libya in the face of a promised Gaddafi massacre cannot be denied. It must be argued that an intervention was necessary. However, it must also be argued that the reasons for NATO’s intervention were far from moral, and undoubtedly served the national interests of the interveners. The quote from Barack Obama previously mentioned perfectly illustrates this idea. The concept of R2P served to justify the intervention on moral grounds. Legal arguments that the intervention was sanctioned by the Security Council, and efforts were made by the Secretary General to diffuse a conflict do hold true, however the idea that humanitarian intervention is a customary international norm is fanciful. The fact that the conflict pre-intervention looked distinctly like a civil war, the reported UK and French Special Forces on the ground and the stretching of the UN mandate by NATO into regime change all suggest that that the legal justifications are shaky at best. These occurrences have no doubt damaged the prospects of further interventions based on R2P being sanctioned by the UN Security Council, as Evans suggested. Ideological ideas that liberalism is now a global ideology which should be exported in many ways harks back to a colonial way of thinking that other nations need to be ‘civilised’. Finally, arguments that the intervention into Libya was legitimate do have some credence. It is unimaginable that the international community could have stood by and witnessed another massacre like Rwanda. However, the fact that the interveners into Libya were also its biggest arms suppliers and the fact that the same interveners have abused the concept of humanitarian intervention in the past, leads to the conclusion that the concept of R2P does legitimise humanitarian imperialism, and it requires a lot of reform and development to enable it to gain comprehensive legitimacy. While the concept of R2P has laudable ideals, it is a concept that requires reworking, perhaps returning to the criteria for intervention set out in the ICISS report in 2001 as a starting point. ABC, Defiant Gaddafi issues chilling threat. Available: http://www.abc.net.au/worldtoday/content/2011/s3146582.htm [2011, 12-11]. Bellamy, A.J., and Wheeler, N.J. 2008, "Humanitarian Intervention in World Politics" in The Globalisation of World Politics. An Introduction to International Relations, ed. Baylis, J., Owens, P. and Smith, S., 4th edn, Oxford, Oxford, pp. 522-522-539. Bellamy, A.J., Williams, P.D. 2011, "The new politics of protection? Cote d'Ivoire, Libya and the responsibility to protect", International Affairs, vol. 87, no. 4, pp. 825-+. Bellamy, A.J. 2010, "Humanitarian Intervention" in Contemporary Security Studies, ed. A. Collins, 2nd edn, Oxford, Oxford, pp. 359-359-376. Bellamy, A.J. 2008a, "The responsibility to protect and the problem of military intervention", International Affairs, vol. 84, no. 4, pp. 615-639. Bellamy, A.J. 2008b, Responsibility to Protect: The Global Effort to End Mass Atrocities, Polity, Cambridge. Chandler, D. 2004, "The Responsibility to Protect? Imposing the 'Liberal Peace'", International Peacekeeping (13533312), vol. 11, no. 1, pp. 59-81. Chesterman, S. 2011, "'Leading from Behind': The Responsibility to Protect, the Obama Doctrine, and Humanitarian Intervention After Libya", Ethics & International Affairs, Forthcoming. Dunne, T. & Gifkins, J. 2011, "Libya and the state of intervention", Australian Journal of International Affairs, vol. 65, no. 5, pp. 515-529. France 24, Violent protests rock Libyan city of Benghazi. Available: http://www.france24.com/en/20110216-libya-violent-protests-rock-benghazi-anti-government-gaddafi-egypt-tunisia-demonstration [2011, 11/11]. Institute of International Studies, UC Berkeley, Conversations with History; Human Rights and Imperialism. David Rieff interview. Available: http://globetrotter.berkeley.edu/people3/Rieff/rieff-con4.html [2011, 11-12]. International Commission on Intervention and State Sovereignty 2001, The Responsibility to Protect, International Development Research Centre, Ottawa. Kinsman, J. 2011, "LIBYA: A CASE FOR HUMANITARIAN INTERVENTION", POLICY, vol. 81. Orford, A. 2011, International Authority and the Responsibility to Protect, Cambridge University Press, Cambridge. Rieff, D. 2011, "Saints Go Marching In", National Interest, no. 114, pp. 6-15. The Guardian, EU arms exports to Libya: Who armed Gaddafi? Available: http://www.guardian.co.uk/news/datablog/2011/mar/01/eu-arms-exports-libya#data [2011, 11-13]. United Nations, Charter of the United Nations. Available: http://www.un.org/en/documents/charter/ [2011, 11/09]. United Nations Security Council 2011a, Peace and security in Africa: Resolution 1970 (2011) [Homepage of United Nations], [Online]. Available: http://daccess-dds-ny.un.org/doc/UNDOC/GEN/N11/245/58/PDF/N1124558.pdf?OpenElement [2011, 11-11-2011]. United Nations Security Council 2011b, The situation in Libya: Resolution 1973 (2011 [Homepage of United Nations], [Online]. Available: http://daccess-dds-ny.un.org/doc/UNDOC/GEN/N11/268/39/PDF/N1126839.pdf?OpenElement.